Walking into the Rochelle school, a large and high-ceilinged cluster of Victorian buildings in the centre of London’s Shoreditch, you might be forgiven for finding it an unusual location for Lorena Lohr’s first photo show. With a singular eye for the lonely or unusual areas of deep or trashy Americana, the New York-based, London-bred photographer carries a roving camera and a strong sense of the power of the fleeting moment. 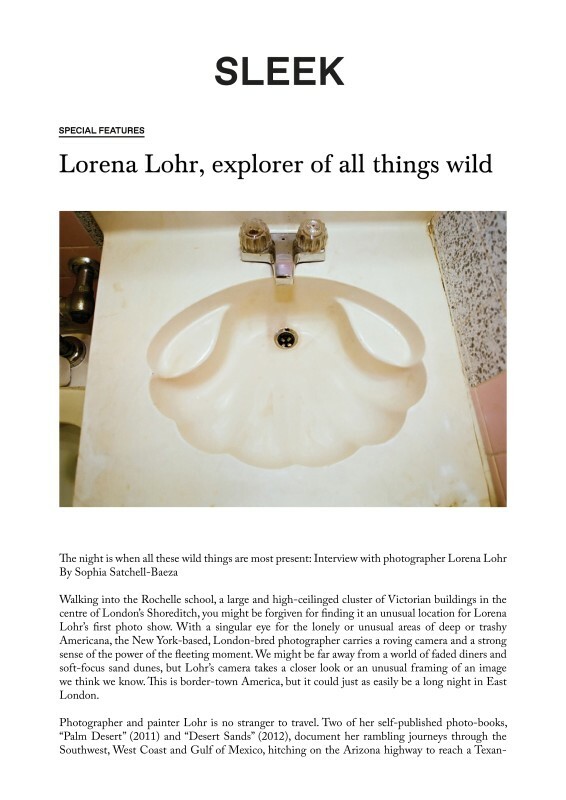 We might be far away from a world of faded diners and soft-focus sand dunes, but Lohr’s camera takes a closer look or an unusual framing of an image we think we know. This is border-town America, but it could just as easily be a long night in East London.